Berkeley, CA: University of California Press, 2012. 290p. Excellent histories of juvenile justice in America have been written by Anthony Platt, The Child Savers, Robert Mennel, Thorns and Thistles, and Steven Schossman, Love and the American Delinquent. A fascinating if all too brief history of California’s creation of the juvenile justice system was produced by the distinguished Sociologist Edwin Lemert in Social Action and Legal Change. Yet all of these prior studies were woefully lacking in discussing the role of race and racialism in the evolution of this uniquely American legal institution. Only quite recently, did Geoff Ward in the Black Child Savers rectify a major intellectual lacunae by telling the stories of the racially segregated juvenile corrections facilities of the Progressive Era and the role of leaders of the African American community who advocated for humane care of these young people. 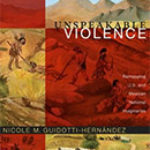 In States of Delinquency, Miroslava Chávez-García enriches our knowledge by telling the story of how the California juvenile system emerged in response to efforts to control the Native American and Latino populations that comprised the “dangerous classes” that motivated Anglo-Californians to build and expand the juvenile justice system. Professor Chávez-García was able to mine thousands of case files of young black and brown children who were pulled into the California juvenile justice system. Unlike other histories that mostly tell a “top down” story of reform, she describes the role of the youth themselves, their families and their communities in opposing abusive practices and forcing governmental actions. She offers us compelling individual case studies and statistical data that are very useful. The book is a tour de force of historical research and greatly increases our understanding of the forces that pushed the California juvenile corrections system towards international attention for both its good and bad practices. She tells us quite a bit about the ideology and personal political agendas that perpetuated abusive human rights violations in the name of science and progressive penal practice. First and foremost, the evolution of California juvenile justice was inextricably tied to racial animus and the willingness of leading academics and researchers to justify the intolerable treatment of Native American, Latino and African American youngsters that have always been disproportionately represented in the numbers of incarcerated juveniles. These youth were victimized by psychologists such as Lewis Terman of Stanford University, whose early research on human intelligence was designed to “prove” the mental superiority of white people. But even more dangerous was the way in which Terman and his colleagues supported a pernicious movement to subject thousands of youth of color to involuntary sterilizations. It was the American equivalent of the unthinkable crimes against humanity that were taken to the next logical conclusion in Nazi Germany. And similar to Hannah Arendt’s notion of “the banality of evil,” Professor Chávez-García shows us that some of the cruelest actions were promoted by individuals who saw themselves as humane reformers or who were simply trying to advance or protect their professional careers. Professor Chávez-García documents how young people who were incarcerated and abused in California juvenile corrections facilities were labeled by juvenile justice researchers as “mentally defective”. This led to thousands of youth being transferred without any legal process at all to state mental hospitals where they were sterilized to fulfill the evil vision of the Eugenics movement. This practice continued without court intervention well into the 1950s. Professor Chávez-García puts a deeply human face on these victims – they are no longer just numbers in a log book. The stories of Benny Moreno and Edward Leiva are especially compelling. These two youngsters committed suicide at the Whittier School and at the Preston School of Industry. The circumstances of these deaths were very suspicious. Institutional staff claimed that these suicides were the expected behavior of mentally defective delinquents. The families of Benny and Edward asserted that the tragic and untimely deaths of these youth were caused by horrendous treatment and misconduct by the corrections officers. Despite strong efforts by state officials to cover-up the circumstances of these deaths, the advocacy of their families and community members led to highly publicized investigations. Interestingly, Judge Ben Lindsey, one of the founders of the Juvenile Court Movement led a thorough investigation that proclaimed that the administrators of the Whittier School were guilty of mismanagement, apathy and irresponsibility. Boys at Whittier and Preston were subject to physical and sexual violence and intimidation that was condoned and practiced by staff. Two corrections officers at Whittier were dismissed from their jobs and served brief jail terms. Community leaders in the Latino community pressed forward through a mélange of professional cover-ups and attempts to deny the horrific levels of abuse. Ultimately, some in the legislature and the Governor determined that real reforms were needed and the state took over the operations of Whittier and Preston schools, creating the California Youth Authority (CYA) that was celebrated as a major innovation in justice for juveniles. The state persuaded leading national figures to help make needed reforms, but the funding and implementation of meaningful changes was uneven, at best. While the CYA achieved some positive steps forward in the 1960s and 1970s, the legacy of abuse never entirely left the system. The population over next three decades consisted of over 90% Latino, African American, Asian and Native American youngsters. Recidivism data suggested that almost of the youth who were released were re-incarcerated as parole violators or were imprisoned in juvenile and adult correctional facilities for new crimes. The cost of locking up a young person in the CYA per year was more expensive than sending them to Harvard, Yale or Princeton. In 2003, I led a team of investigators of the CYA that was requested by the California Attorney General. We found youth being housed in cages not fit for zoo animals, isolation and segregation involved hundreds of youngsters and continued for months on end, and youth spent at least 21 hours a day in the cells. Violence among the incarcerated youth and the excessive use of force by staff were epidemic. The other experts documented a near total breakdown of medical care, mental health services and education. Youth with disabilities were typically not given any reasonable accommodations. When our report was released, the Governor chose to enter into a consent decree with the lawyers for the youth. Next began the hard work of trying to develop remedial plans to fix these enormous deficiencies. There were at least four documented suicides in the next few years and one youth attempted suicide and remains alive on a life-support machine. State officials sought and received tens of millions of additional funding to reform the CYA that was moved under the jurisdiction of the state prison authorities. Leaders of CYA such as Director Jerry Harper concluded that reform might be an impossible goal in some juvenile facilities. Harper decided that the Fred C.Nellis School, formerly the Whittier School needed to be closed –Harper told me that “the evil is in the walls”. Professor Chávez-García has provided us with an extraordinary history of origins of that evil. In recent years California closed several other notorious youth institutions such as the Paso de Robles School where corrections officers literally tortured incarcerated youth. The state also shuttered the Heman G. Stark Facility that was constantly racked with violence, riots, and allegations of staff misconduct. California also abandoned the Northern and Southern Reception Centers, and the Preston School of Industry. Public and media outrage over the abuse of children in CYA and forceful advocacy by parents, the Prison Law Office, and community advocates led to law changes and a radical drop in the number of youth in state facilities –from over 10,000 inmates in 1997 to less than 900 youth today. There are only three state youth facilities that are still open – The Ventura Youth Corrections Facility, the OH Close Youth Corrections Facility and the Chadjerian Youth Facility. Governor Brown initially proposed closing down the entire state system and sending the youth back to the counties, but has deferred that decision in the short term. States of Delinquency is a valuable resource for the student and the citizen who wants to understand the historical legacy leading to the ongoing pattern of state-sanctioned child maltreatment in the juvenile justice system. Even today the “Loss of Privileges Cottages” that Fred C. Nellis created at Whittier continue as Behavioral Treatment Programs (BTPs), albeit with fewer youth housed in these units. The current BTPs are still places of daily violence and regular use of chemical, physical and mechanical restraints by the staff. Mental health services are still woefully inadequate. Forced sterilization is rare, but some young women in CYA are counseled to consider this option. Youth are still “marginalized, racialized and politicized,” in the words of Professor Chávez-García, but the new pseudo science involves risk and needs assessments that are neither valid nor reliable. The state is investing in “Cognitive Behavioral Therapy” and “Anger Intervention Treatment” whose proponents claim that these interventions are based on scientific evidence –as did the managers of California youth facilities over a century ago. Youth still reside in deplorable living conditions that demean their spirits and drive them to madness.